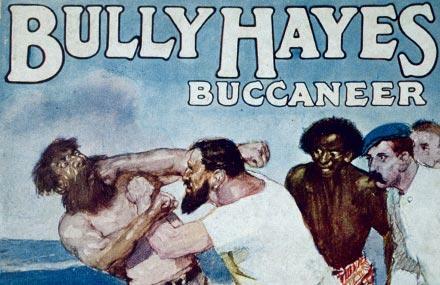 Legend tells us Bully Hayes (William Henry Hayes) arrived in the pacific in the mid 1800's as a smuggler, illegal grog trader, swindler, gun runner and slave trader. He earn't the title of "Pirate". Lovable rogue Bully sailed the seas and came to Banks Peninsula to leave his mark and his memory as a handsome devil. A young teenage lass by the name of Helen Murray was persuaded to sail to Lyttelton with Bully on the pretence she would be joining a theatrical company in China. Bully had other ideas. He was arrested for abduction but talked his way out of trouble yet again a free man. There are many stories of Bully Hayes wild and unlawful ways but he was known to leave the Waghorn children of Little Akaloa pretty Island shells & James Boleyn a jar of rum. Not bad considering he got away with meat & poultry. 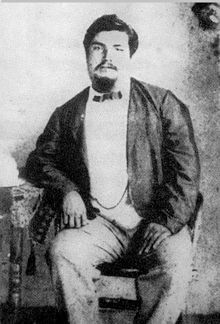 Bully was killed in 1877 by a disgruntled seaman and was subsequently burried at sea south of the Marshall Islands. This is a small excert to Bully's links with the Peninsula. There are many more stories that have prompted a Movie and book to be written about this colouful character.